Zakat al-Fitr is a kind of charity (sadaqah) that is obligatory at the time of breaking the fast of Ramadan. 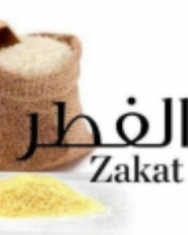 The word zakaat is connected by idaafah (genitive structure in Arabic grammar) to fitr because the occasion of breaking the fast is the reason why this zakaat becomes obligatory. purifying the fasting person from idle talk and foul language, and to feed the poor. Whoever pays it before the prayer, it is an accepted zakaat, and whoever pays it after the prayer, it is just a kind of charity (sadaqah).” (Reported by Abu Dawood, 1371. Al-Nawawi said: Abu Dawood reported it from Ibn ‘Abbaas with a hasan isnaad). “Purifying” means purifying the soul of the one who has fasted Ramadaan. With regard to the word “foul language”, Ibn al-Atheer said: “ ‘Foul language’ refers to obscene speech. ‘Feeding [the poor]’ refers to food that is edible. ‘Whoever pays it before the prayer’ means before Salaat al-‘Eid. ‘It is an accepted zakaat’ – here zakaat means sadaqat al-fitr. ‘Just a kind of charity’ means a kind of charity that could be given at any time.” (‘Awn al-Ma’bood Sharh Abi Dawood).